SACRAMENTO, Calif. /California Newswire/ — Today, Calif. Governor Edmund G. Brown Jr., Attorney General Kamala D. Harris, Senate President pro Tem Darrell Steinberg, Assembly Speaker Toni Atkins and members of the Latino Legislative Caucus announced legislation to provide legal services to the unaccompanied minors arriving in California from Central America. 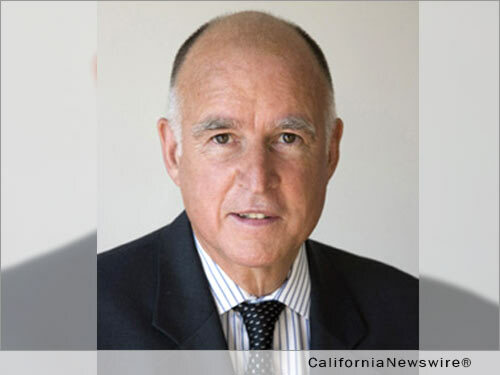 “Helping these young people navigate our legal system is the decent thing to do and it’s consistent with the progressive spirit of California,” said Governor Brown. The legislation provides $3 million to qualified non-profits to provide legal services for unaccompanied minors. In addition, the legislation eliminates any ambiguity regarding the jurisdiction of the state court to make findings necessary to enable the federal government to grant these minors special immigrant juvenile status. This federal status provides for an expedited naturalization process. The legislation also reinforces the court’s authority to provide interpreters to unaccompanied, undocumented minors. During California’s Trade and Investment Mission to Mexico in July, the Governor met with Archbishop of Los Angeles José H. Gomez and religious and diplomatic leaders from Mexico and Central America for a wide-ranging discussion on immigration reform and the influx of unaccompanied children migrating to the United States. In addition, pro Tem Steinberg and a delegation of state lawmakers went on a fact-finding mission to El Salvador and Guatemala, where they met with national leaders to discuss the root causes of a humanitarian challenge that has led to more than 57,000 minors arriving at the U.S. border since October 2013, mostly from El Salvador, Honduras and Guatemala. In July, Speaker Atkins and members of the Latino Legislative Caucus toured Naval Base Ventura County, to review the conditions in which undocumented, unaccompanied children were being housed and to view how the children were responding following their journeys from Central America. Complete legislative language will be available tomorrow. Editorial note: above text based on press release as issued by the Governor’s office.